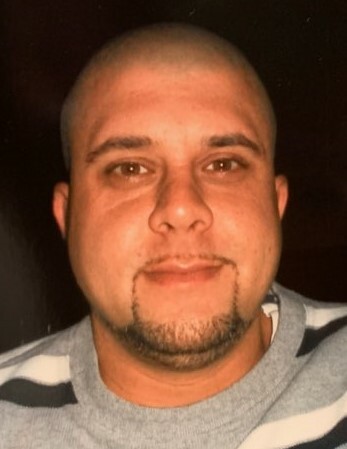 Justin Barna, 37, of Newtown section of Hanover Twp., formerly of Mountain Top, lost his struggle battling addiction on Tuesday, January 8, 2019. Born in Plains Township, Justin is the son of Rene Aufiero of Mountain Top and James Barna of Hunlock Creek, was a graduate of Wyoming Valley West High School and was employed as a pizza baker. In addition to his parents, Justin is survived by his children, Brittany, Giavanna, Alexis, Anabella, Nico and Rocco; brother, Jim Barna and his wife, Janell; Nanticoke; John and his wife, Bobbi Jo, Mountain Top; step mother, Tina, Hunlock Creek; girlfriend, Velia, Hanover Twp. ; half sister, Tara Brooks and her husband, Marc, Plymouth; half brother, Michael Long, Plymouth; paternal grandmother, Sue Barna, Wilkes-Barre; numerous aunts, uncles and cousins. Private visitation for the family and funeral service was held on Sunday, January 13, 2019 at the Desiderio-Lehman Funeral and Cremation, 436 S. Mountain Blvd., Mountain Top. Deacon Gene Kovatch, of St. Jude's Church, Mountain Top, officiated.